This book argues that psychoanalysis has a unique role to play in the climate change debate through its placing emphasis on the unconscious dimensions of our mental and social lives. Exploring contributions from Freudian, Kleinian, Object Relations, Self Psychology, Jungian, and Lacanian traditions, the book discusses how psychoanalysis can help to unmask the anxieties, deficits, conflicts, phantasies and defences crucial in understanding the human dimension of the ecological crisis. 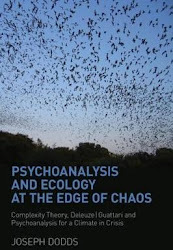 Yet despite being essential to studying environmentalism and its discontents, psychoanalysis still remains largely a 'psychology without ecology.' The philosophy of Deleuze and Guattari, combined with new developments in the sciences of complexity, help us to build upon the best of these perspectives, providing a framework able to integrate Guattari's 'three ecologies' of mind, nature and society. This book thus constitutes a timely attempt to contribute towards a critical dialogue between psychoanalysis and ecology. In our era of anxiety, denial, paranoia, apathy, guilt, hope, and despair in the face of climate change, this book offers a fresh and insightful psychoanalytic perspective on the ecological crisis. 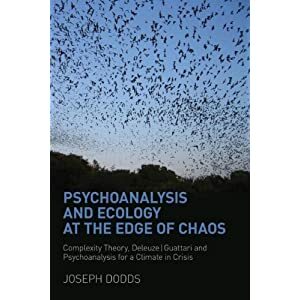 As such this book will be of great interest to all those in the fields of psychoanalysis, psychology, philosophy, and ecology, as well as all who are concerned with the global environmental challenges affecting our planet's future. Preface. Jordan, Foreword. Part I: Climate Change: A Psychological Problem. Climate Crisis: Psychoanalysis and the Ecology of Ideas. Theoretical Crisis: Complexity as Meta-theory. Ecology at the Edge of Chaos. Part II: The Phantasy of Ecology: The Psychoanalysis of Climate Change. Classical Psychoanalysis. Eco-anxiety and Defence. Object Relations Theory: A More Ecological Approach to Mind. Part III: The Ecology of Phantasy. Ecopsychology and the Greening of Psychotherapy. Ecology without Nature: Postmodern Ecopsychoanalysis. Becoming-animal and Horror. The Zoological Imagination. Part IV: Nonlinear Ecopsychoanalysis. Entering the Nonlinear World. The Ecology and Complexity of Psychoanalysis. Deleuze|Guattari and the Ecology of Mind. Ecopsychoanalysis and the Future of the Three Ecologies.